Assumptions about behavior | Matthew Denman Smith, Ph.D. Animals are always performing behaviors! Even these sleeping ducks are behaving. Notice the position of their heads: why are they tucked in like that? Observe the alignment of their bodies: to what might they be orienting? See how the duck on the left has one eye open and one shut – that’s weird?!? 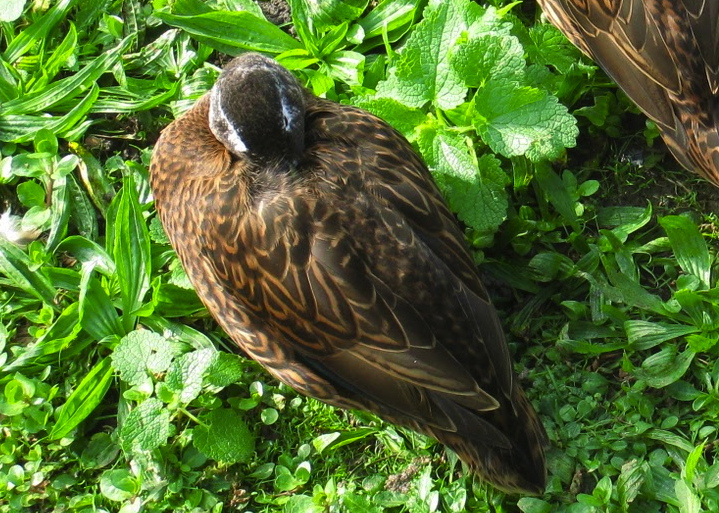 It turns out that, amazingly, in ducks the two brain hemispheres take turns sleeping. So the eye controlled by the sleeping side of the brain droops shut, while the other eye stays open scanning for predators (Rattenborg et al. 1997, Nature 397). This unihemispheric slow wave sleep can even occur when birds are migrating, and has been discovered in many other avian species, and in marine mammals. 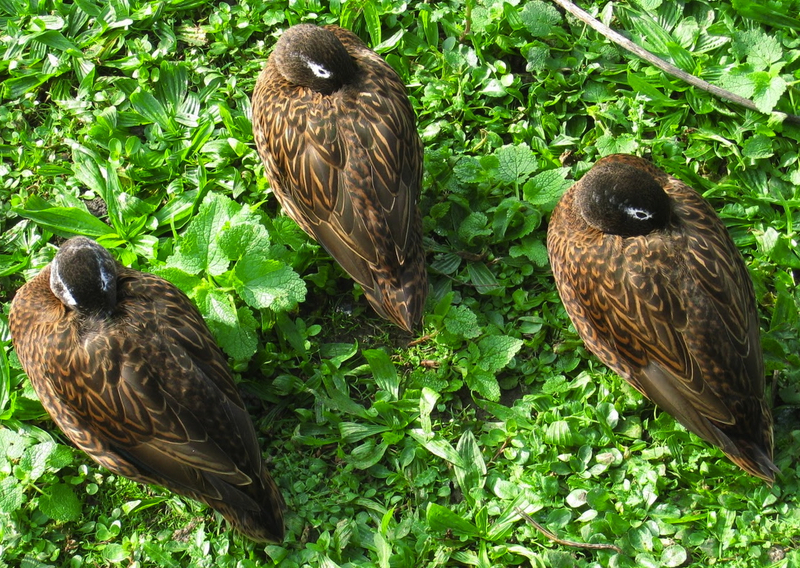 This amazing phenomenon would never have been discovered if people dismissed sleeping ducks as “not behaving”!